Contaminated Tones is extremely proud to announce it's first Pro CD release, Master Fury - Circles of Hell. This compendium of Master Fury's long since sold out, and rare first and second albums is the first time this material will be available on CD. 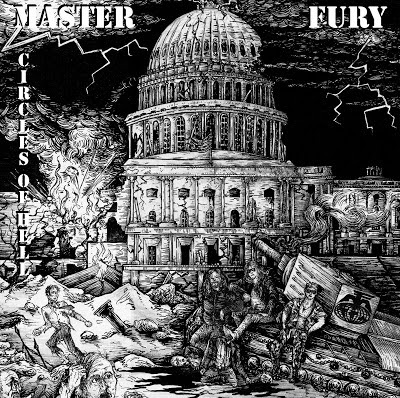 Born in the 1970's in Trenton, New Jersey, Master Fury existed in some form for over a decade before finally putting out their first album, Hell Party (1988), a Speed Metal hammer to the skull and Circles of Hate (1989), the refinement of crushed body bits and uncontrollable aggression. For several years, this release has been a labor of love for the wandering man behind the project. Recorded in multiple places, pieced together like a puzzle while traveling by freight train across North America and tossed back and forth between being released and having promises broken, the honesty and emotion on this release is such that soulful is an understatement. Few releases have a story that spans as much time and space as this. 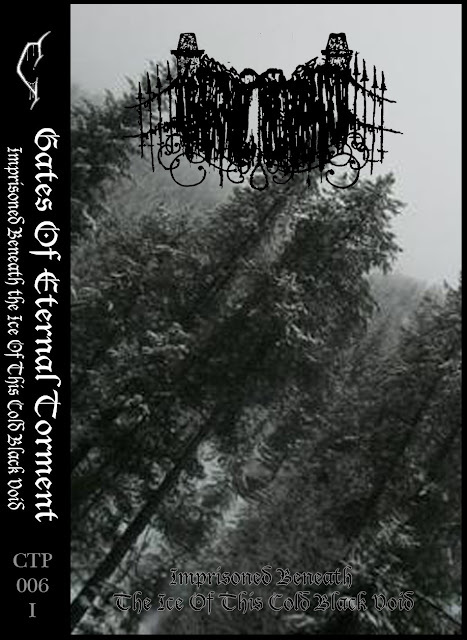 A unique and pure exercise in raw and emotionally distilled black metal. 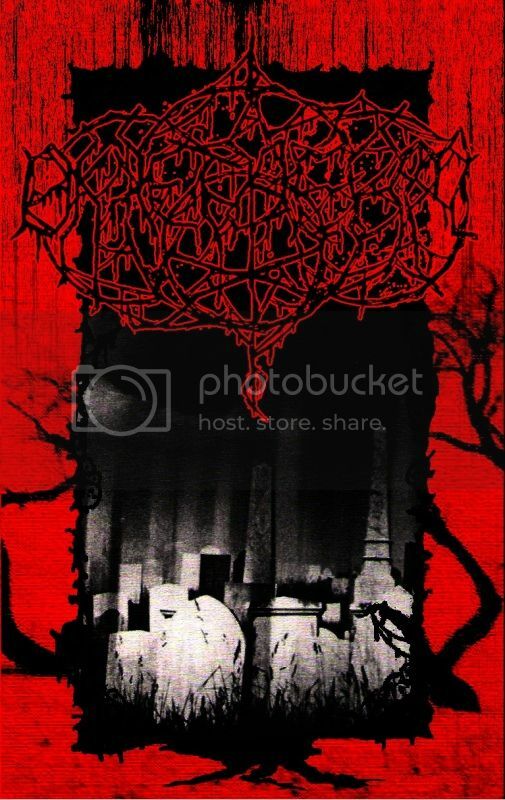 Doom-laden death metal with heavy atmosphere and mournful melodies. 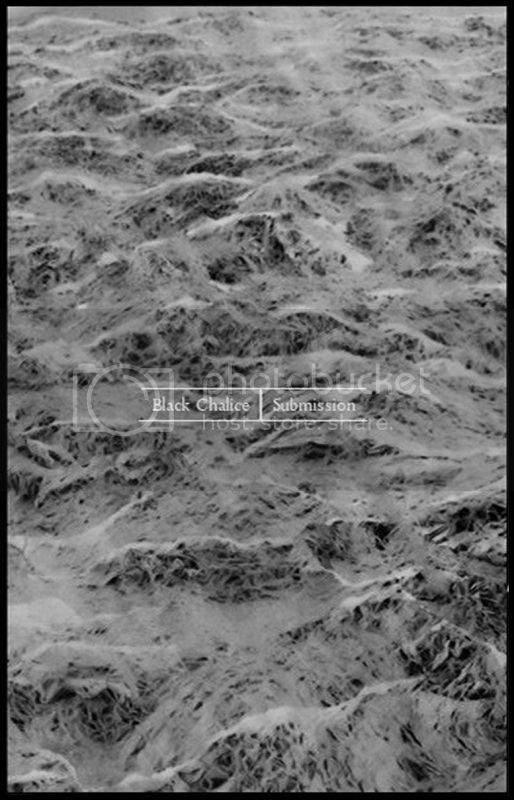 This third release is the peak of Black Chalice's continuing progression into an ever more unique style which will surely be adored by anyone into the off-shades of both Doom metal and Death Metal. 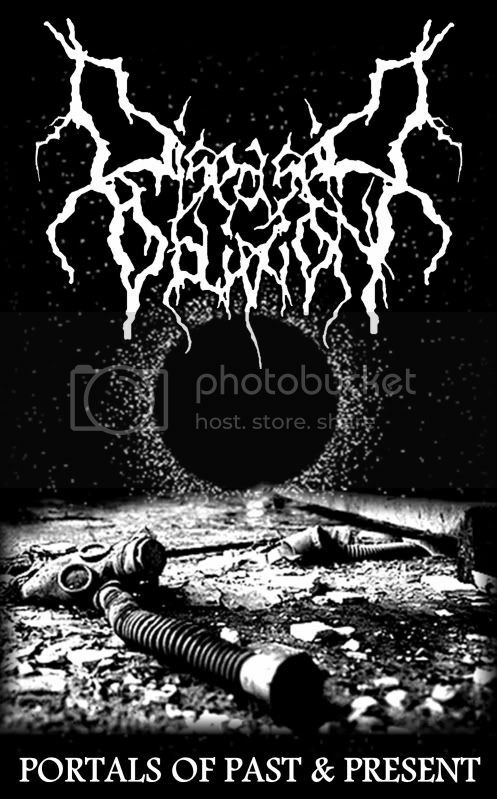 Inevitably, due to it's creator's involvement in other projects such as Auspicium, elements of black metal make themselves shown momentarily but this is primarily the affair of other styles. The second album from this reclusive act is sure to appeal to anyone with even a cursory interest in black metal. Thick, suffocating, and concealing uneasiness, "Stones" rewards the listener with feelings of uncertainty, awkwardness and fear. Preoccupied only by it's own mission and it's own patience, there is a vastness and scope few bands attempt and succeed in meeting. Somewhere between everything, there is a comfort that one can only find upon the realization that we are all, ultimately, consumed. Promotional sample for Okketaehm - Stones up for viewing on youtube. The subliminal undertones spread across this miasma of noise and blackened funeral drudge is enough to send even the most stable mind into convulsions. A heavy load of fuzz and static drenched guitars creep across the outer layers but underneath the harshness lays a foreboding post-apocalyptic nihilist's utopia of lingering burnt out bomb shelters and blasted out monuments to mankind's folly. The fog of war blows gently across a vast landscape, leaving the listener to stare into the distance for half an hour, soak in the radiation, and melt away. Promotional sample for Diseased Oblivion - Portals of Past and Present up for viewing on youtube. Strong influence from Motorhead / Venom and lots of alcohol. Nothing else needs to be said. USA: Order through me here or via my normal email address. That address is on the Contaminated Tones Website. Free shipping to NJ/NY/PA. Additionally, anyone who wants promos for review please message me as well. Those interested in wholesale should order through myself as well. UK: Those in the UK who are not interested in larger quantities I suggest going through Slaney Records to save on shipping cost. Last edited by orionmetalhead on Sat Jan 05, 2013 1:54 am, edited 72 times in total. Getting good response for the demo. Listening to the track on your blog. Great stuff, specially the vocals. Also, best band name ever. Glad you dig the track! Thanks for all the support so far everyone. Lots of great feedback so far! Arrived yesterday. Thanks indeed for the fast shipping, looking forward to what CTP-002-I (________ _______- _______ __ ___ __________ MC) brings us !!! Glad it got there fast! Awesome to hear. The next release will be announced within a week or two. Just gotta get some money put together for the tapes. Next release should be available sometime next week. It will be announced Monday. CTP 002 is now out. Diseased Oblivion - Portals of Past and Present. See first post for details. 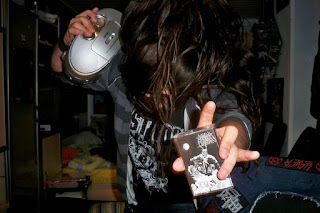 Definitely hold me a Diseased Oblivion tape, sounds sick as hell. shouldn't be a problem to hold one for you. Maximum Oversatan - Too Evil For Hell tape really great release raw dirty sounding catchy metal a classic demo tape which more need to hear! Also would love to get some copies of the new release Diseased Oblivion let us know if you'd be interested in another trade! As soon as the copies arrive you'll find them in the store above. I'll post again when they are in stock. I am going to go through Makaveli for all EU customers since he will be able to save the European metalheads a bit on shipping. He will have his copies in several days. I just finished packaging them up the other day. I just got back from vacation so a slight delay in shipping but I should be able to get to the post tomorrow morning. If not they get sent out Monday at latest. Additionally, awesome to see people taking interest in the Maximum Oversatan tape. I will personally be engineering the next M.O release in the upcoming months. A lot of cool stuff happening with that project. Shirts and Pins will also be available shortly. 1$ Maximum Oversatan Pins are available. Also, anyone interested in doing a review for either album let me know and I'll send you a free promotional copy of the album. Witching Metal Webzine - Maximum Oversatan - Too Evil For Hell Review. Webstore updated with both Demo Tapes. Price is €3.50 & €1.00 PP, total €4.50 per cassette anywhere. No Orders from the USA please, any orders will be refunded minus the paypal fees incurred. All USA orders can go directly through myself. As of now, I have two, possibly three releases lined up for the next three / four months. I am still interested in people looking to release material however as of now, tentative release dates for other than the current releases I am working on will have to be set for early summer. - Only 1 more promotional copy of Maximum Oversatan is left. - I will be announcing the upcoming releases scheduled in the upcoming week. - Another review has been posted to Metal Archives for the Maximum Oversatan demo. Three reviews so far all in favor of Maximum Oversatan's ugly, gritty, Venom inspired blackened fury. Bump: Review posted for Diseased Oblivion. Waiting for the artwork for the next release to be done before I announce anything. Should be in a couple days. - Until the next release is out or until Too Evil For Hell runs out, you can get both tapes for $6.00 plus shipping. I need to make room for the next releases. Maximum Oversatan Promos are gone.